San Antonio to Austin Day Trip [San Antonio Detours] Book your tour! This Austin, TX excursion allows you to walk in the footsteps of Texas icons and get to know the real Austin. First, we’ll visit iconic landmarks, learn interesting facts about our state capital, its famous music scene, the University of Texas, street art, galleries, and more. Next, we’ll take you to a food truck park where you can dine in the Texas sunshine. Go off the beaten path and see where locals hang out. 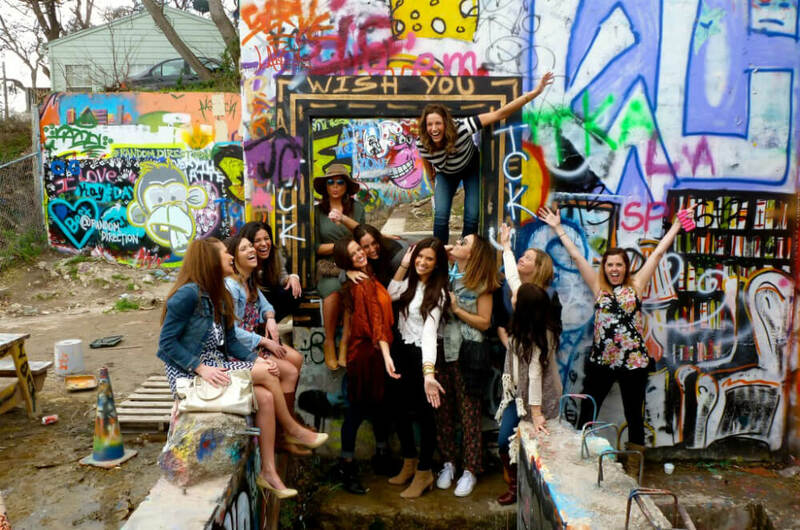 We stop at the famous Austin postcard for a photo shoot, drive down South Congress, and visit Hope Gallery, an outdoor spray paint artist’s dream. You’ll learn the history, culture, food, and people of Austin in just one day! Plan Your Austin Trip Today! Explore the popular Hope Outdoor Gallery!